It's unbelievable what harm a small insect can do to us. Millions of people all over the world are affected by mosquito bites. A mosquito can not only keep us from getting sound sleep at night but also cause life-threatening infections. Although malaria is the most commonly known disease transmitted by a mosquito, others like yellow fever, dengue fever and chikungunya are also a result of mosquito bites that carry the infection. Fortunately not all mosquitoes are infection carriers. • Eradicate the mosquito-breeding source. Clean drains surrounding your home regularly. Do not allow water to stagnate. • Ensure your water tanks are always closed and cleaned periodically. • Do not store water in open containers. • Use the good old mosquito net when you sleep. • Mesh your windows and doors to allow air circulation and prevent mosquito circulation. • Light some camphor (kapoor or karpoor), sandal sticks (chandan) or incense sticks (sambrani or agarbathi) in the evening. Not only will your home smell good but also help to keep mosquitoes away. 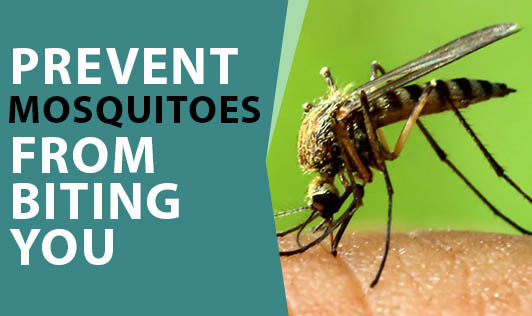 • Eucalyptus oil, citronella oil, neem oil may help to drive away mosquitoes. • Use chemical repellants (coils, tablets, liquids) only if you are not allergic to them. • If you disinfest your house once a year, chances are the mosquitoes will stay away for a few weeks due to the strong odor of the chemicals used. If you have any other tips to prevent mosquito menace, please do share it with everyone. Thank you.